Ray Marcano is Director of Digital Strategy for CMG Ohio. He began his career at Westchester Rockland Newspapers in White Plains, NY and also worked at a small weekly in his hometown of New York City. He worked at two newspapers in Oklahoma, including the Tulsa World, before coming to the Dayton Daily News. In Dayton, he’s held a number of reporting and management jobs including sports editor, metro editor, regional editor, Deputy Managing Editor and Internet General Manager. He is the former national president of the Society of Professional Journalists and is a two-time Pulitzer Prize juror. 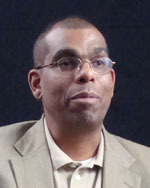 His web site, www.RayMarcano.com, keeps those interested in digital media up to date on the latest trends.